The best and the cheapest places to live in Prague. University dormitories open their doors for international students. Anastasia Alieva is a university student, and she faced the same problem as everybody in our Anglo-American University: finding a good and cheap place to live. She thought about renting a flat, but it was too expensive. She then discovered an attractive and affordable alternative: university dormitories run by different Czech universities. Czech Technical University in Prague, or ČVUT as it’s more commonly know, has 8 different dormitories in different parts of the city. The dormitories are available to all students but don’t forget to bring a confirmation that you are studying in a different university. 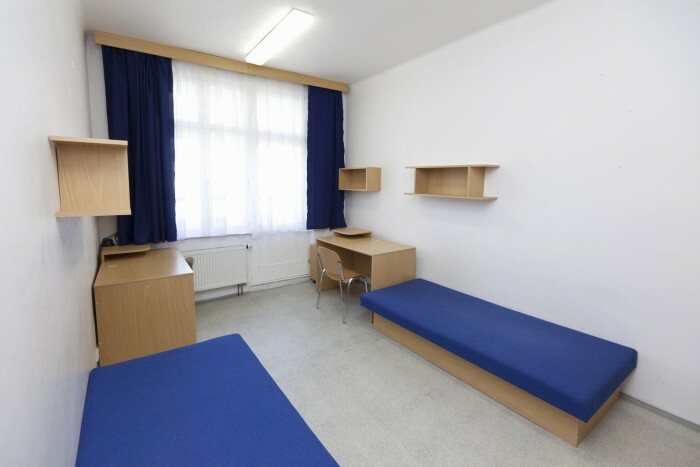 In most of the dormitories there are housing units, where 2 or 3 rooms are situated. There are 2 students in every room. Some dormitories have a shower and a kitchen in a housing unit, and it is like you are renting a flat with 3 other people. Others have only one shower and kitchen on the floor, but the price will be very low. The furniture is in a Soviet style, but it feels cozy at the same time. The dormitories closest to AAU are Masarykova, Dejvická, Sinkuleho, and Orlík dormitories, all of which are only two metro stations away. It will take you only 1-2 minutes to get to the NTK library, which is free for every student and even open at night time. Here is a brief overview of the best options for AAU students, and what facilities they can offer. Masarykova Dormitory. The big advantage of this dormitory is an active student life with parties in a dormitory nightclub, bar, bowling club and there are free language courses. The highest rent per month is 3900-4000 CZK which is inclusive of electricity and hot water. However, you also need to pay for the Masařka Student Club which costs 800 CZK per semester. this student club will provide a good internet connection by cable and wi-fi, along with the access to the gym, a music room with a piano and a big screen for watching movies and a bigger kitchen with an oven. 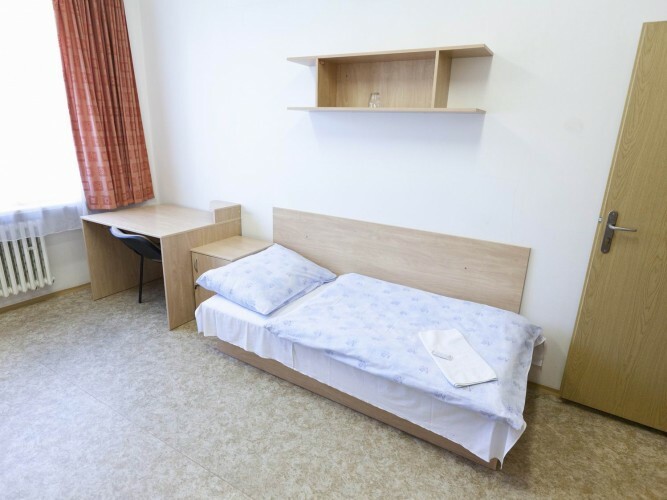 If you want to invite your parents or friends to Prague, the dormitory has rooms available for visitors and tourists. Dejvická station is not far from the city center and not far from the airport (two stations to Nádraží Veleslavín, where you can take a 10 minute bus to the airport). One of the most uncomfortable disadvantages is the laundry room. The price is cheap: 30 CZK for one hour. But it can be crowded, which means you will have to wait in the queue. And sometimes the washing machines break because they are rather old. Dejvická dormitory is also situated at the Dejvická metro station. 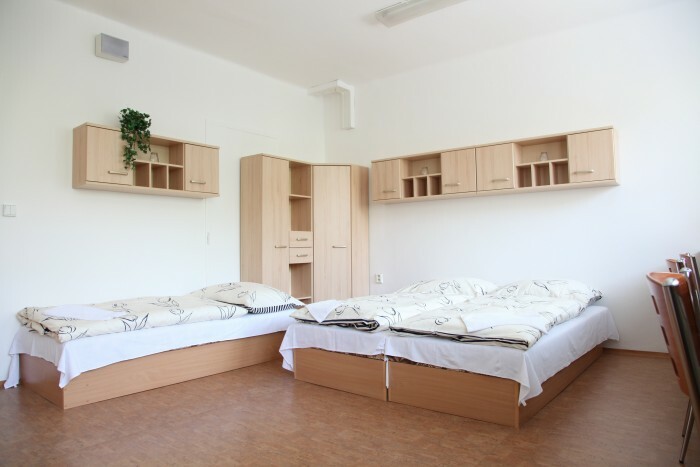 This dormitory is much smaller than Masarykova Dormitory, though the furniture is more modern. The conditions are the same: you can use the Masařka club gym and other facilities for 800 CZK per semester. The price for the month is lower: 3500-3700 CZK. The laundry room is better because the dormitory is small, so there are no big queues. This dormitory usually has 3 rooms in each housing unit. “I didn’t have complaints about the cleanliness, everything was very clean,” says AAU student Elina Gabdrakhmanova. “But the kitchen was not enough for 6 girls, it was very small”. Sinkuleho Dormitory is bigger than Dejvická, but the conditions are not that good. There is only one kitchen and one shower (separate for girls and boys) on each floor. But there is also the possibility to live alone in a room. The price is lower than in other dormitories: 2500-3000 CZK per month. The situation with the internet and facilities is the same: you need to pay 800. Like the Dejvická and Masarykova dormitories, Sinkuleho it is not far from the Dejvická metro station and many trams. Billa, KFC, Starbucks, Bageterie Boulevard, and Albert are close to the dormitory. 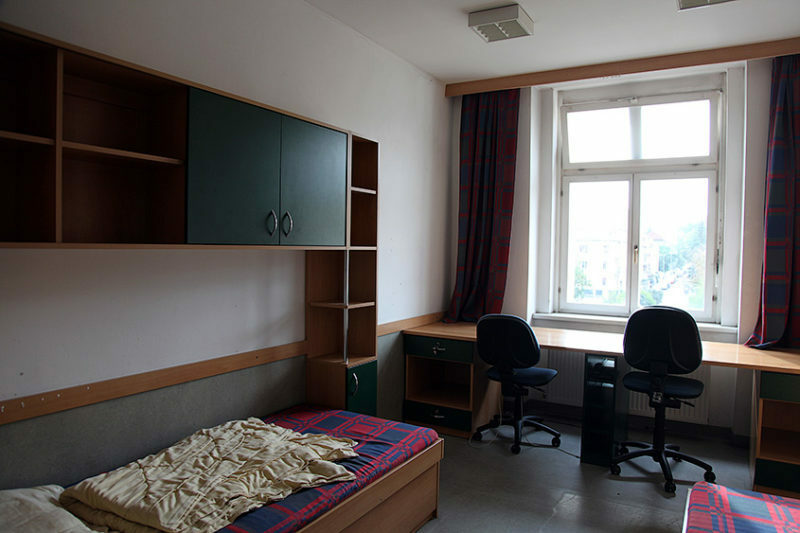 Orlík Dormitory is an alternative to a small flat, but the price is a little bit higher than in the other dormitories. The rent is about 5000 CZK per month., It is situated in the Bubeneč district which is not far from Dejvická. Most of the students say that this is the best cheap dormitory and the cleanest one. The furniture is not Soviet-like and the walls are very clean and fresh. You will also need to pay for the internet per semester, and as in Masarykova dormitory, the fee will allow you to use the gym in Orlík Dormitory. To get a room in one of these dormitories, you do have to fill out a detailed registration application form. You can find it in the special system for reservations ISKAM: https://web.suz.cvut.cz/. After the form is filled out and submitted, usually you get a response within one or two days. Good luck!